We're all incredible sad that Tonight Alive's The Other Side tour has come to an end but before they said goodbye to us for 2013, they did leave with some good news. Vocalist Jenna McDougall confirmed on stage at their show in Anaheim, CA last week that the band will indeed be returning stateside for a tour this spring. 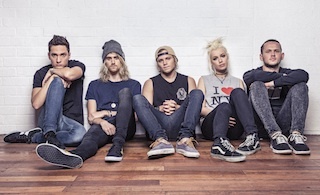 There are no further details at this stage about Tonight Alive's planned spring tour but regardless, we're excited!